I was talking to my friends on @littlecuppajo’s discord server about how much we love playing, drawing, and admiring cute girls with swords and other weapons. 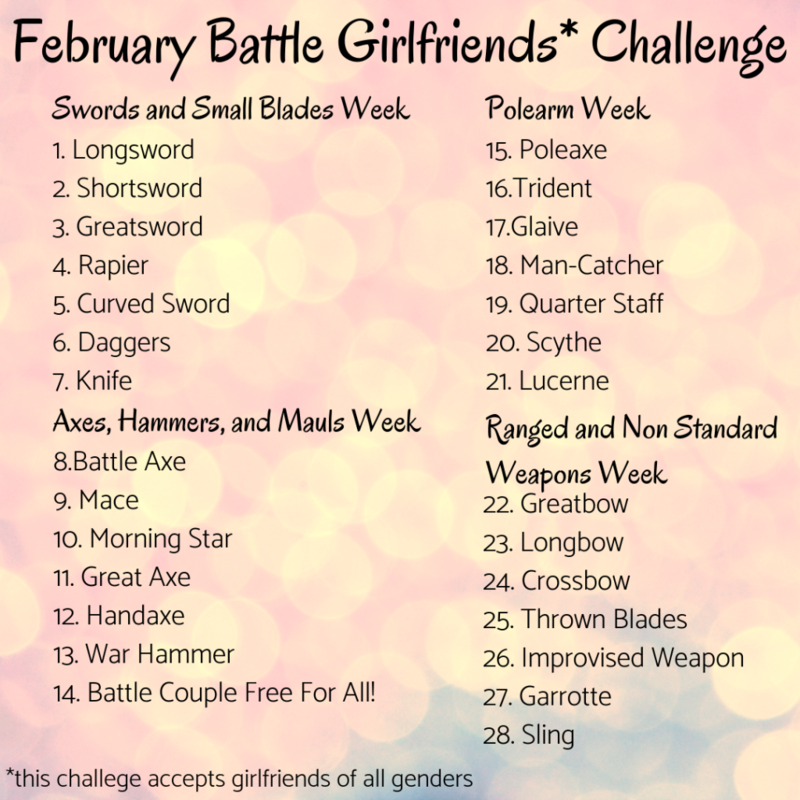 Thus, the February Battle Girlfriends Challenge was born! Everyday for the month of February, you can create your very own battle girlfriend, with a different kind of weapon each day! This can be in whatever format you’d like: sketches, character sheets, writing prompts. Be sure to use the tag #FebruaryBattleGF so that we can see! At the end of the month, I’ll share some of my favourites!